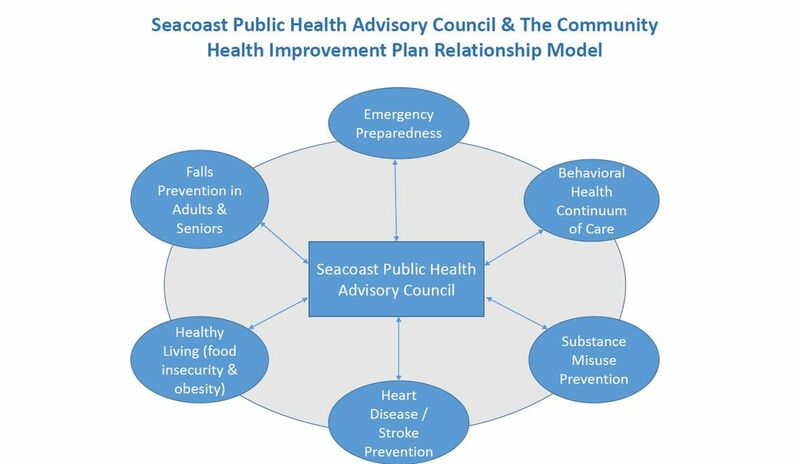 Advise the Seacoast Public Health Network members on all major policy matters concerning the nature, scope, and extent of community and public health concerns and responses. The PHAC Board meets on a quarterly basis. The following work groups meet on a regular basis: Healthy Living, Falls Prevention, Heart Disease/Stroke Prevention, Emergency Preparedness, and Continuum of Care/Substance Misuse Prevention. Contact Mary Cook for more information on the Public Health Advisory Council or to become a member.